The Russian parliamentary (Duma) elections on September 18 do not promise any major changes. Opinion polls and the general atmosphere show that the country will continue to be led by the United Russia party which is affiliated with Vladimir Putin, while establishment opposition parties will support stability. Regardless, these elections will be significant in understanding the future of the long term, but little understood system of Vladimir Putin’s that has been in place for sixteen years. There are indicators suggesting that the role of the real opposition, despite its fragmentation, is gradually changing. Considering the delicate socioeconomic situation of the country and the presidential elections which are two years away, this makes for certain indications for the future. Thus what role does the opposition perform in the contemporary Russia? As mentioned earlier, we are used to stating that there is no opposition in Russia. This is further established by the fact that a significant part of it is integrated into respective political roles and play according to the rules dictated by Putin’s system. This role is performed by the so called establishment – parliamentary opposition which is comprised of Vladimir Zhirinovsky’s Liberal Democratic Party of Russia (LDPR), Communist Party of the Russian Federation (CPRF) with Gennady Zyuganov at its lead and the party “A Just Russia” led by Sergey Mironov. Apathy of Russian society: can the youth change it? These political powers do not shirk opposing the government on questions of social justice and domestic economics. For example with the United Russia Party having usurped the bureaucratic apparatus, it receives much flak for its failure to tackle rampant corruption. At the same time, however, the SR, LDPR and CPRF are hesitant to criticise the leader of the state in terms of strategic policy; factually this means that Putin’s non-democratic model in Russian domestic politics and aggressive foreign policy is being supported. The electorates of these parties also differ. The CPRF is supported by the part of society which is overcome by Soviet nostalgia, particularly in regard to the lost social guarantees, the rise of contemporary oligarchs and corruption. In terms of foreign policy these are mostly people who retain a favourable view of the idea of “the great Soviet Union”, who justify Putin’s policies in Eastern Ukraine and hold Crimea’s “return home” to be a victory. Meanwhile the LDPR leader continues to be its only notable figure. Zhirinovsky attracts those who are completely disappointed with the political situation in Russia. As such we can guess that the LDPR seats in the Duma are secured by an aggressive protest electorate, which does not disguise its antipathy to the other politicians and at the same time support Zhirinovsky’s aggressive and unmeasured stance on foreign policy questions. Finally Just Russia, in portraying itself as a supporter of Social Democrat ideas, is concentrated on specifically questions of social welfare, while distancing itself from the communist programme and attempting to step away from geopolitical questions. This party has succeeded in forming a system of regional elites, discovering a notable leader in separate Russian regions, who are criticising local governors, propose an alternative to the local government in regard to social questions, but at the same time are not communists. All of this was particularly beneficial for the party in the 2011 Duma elections, where they earned 13% of the vote. Up to the 2011 – 2016 term, all three establishment opposition parties in Russia had a degree of autonomy vis-à-vis United Russia. Over the last 5 years, however, Putin’s majority party has successfully integrated them into the regime’s system through successful manipulation: there were threats of easing the registration conditions for new parties, which would mean a significant rise in competition for the opposition parties. This forced them to identify with the Putin regime more strongly and ensured Unified Russia would have the opportunity to stress it has the support of the other political powers in making its decisions. Particularly when public opinion on the question is particularly critical. This way an impression is created that Russia is not a country ruled by one political power and that decisions contradicting international convention, for example moving armed forces into Crimea, are made not just by Putin and his party, but also by such powers as the Just Russia, which, as aforementioned, tends to avoid foreign policy. Furthermore an illusion of a broad consensus is constructed. In this regard the Sunday election will be far more favourable to United Russia because the incorrect decisions made will no longer be viewed as solely its policies. The citizen’s hatred which was concentrated against United Russia in 2011 is most likely going to be split between all establishment parties this time. Speaking of the non-establishment opposition, in this election we can note parties such as “Yabloko”, People's Freedom Party (PARNAS), the Party of Growth (ROST) and the Russian Party of Pensioners for Justice. Only “Yabloko” has any chances of entering parliament, it is the only one to have exceeded the 3% barrier in the previous election and receives government support. Unlike the establishment opposition, “Yabloko” directly oposes the government – it views Russia as a European state, which should be a free and competitive democracy, where the principle of freedom of speech is respected. While the non-establishment opposition is usually described as “liberal” in Russia, “Yabloko” is not purely liberal in ideology. For example in economy, this party’s views could be seen as social democrat, in support of a regulated economy. Meanwhile PARNAS is a more multifaceted party, one can observe a nationalist strain in it, particularly in terms of economy, focusing on immigrants from the Caucasus and Middle Asia and the problems caused by them, things like the decrease in jobs, decrease in wages and rise of corruption. It has to be noted that such nationalism is clearly separate from Putin’s system of imperial nationalism practices. This can be observed in almost all the non-establishment opposition parties which are against Putin’s foreign policy, who also view the rhetoric of “Crimea is ours” sceptically. Nevertheless, predicting any success for PARNAS in the election is not very realistic. 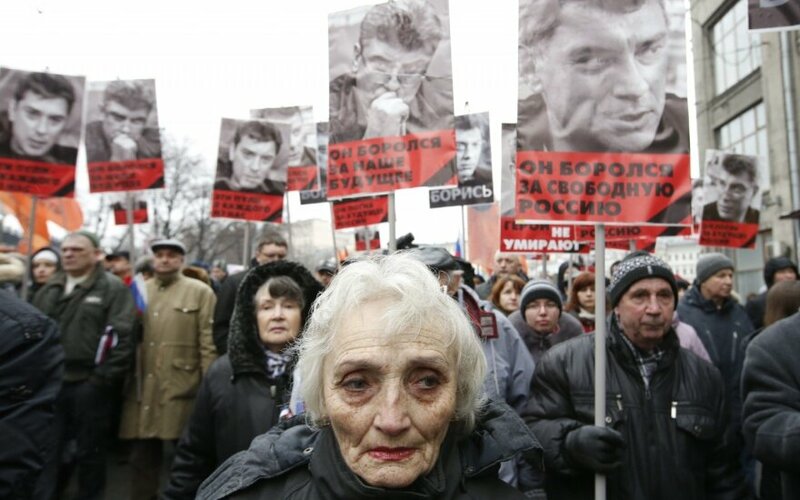 First of all its leaders have been disposed of – in 2015 party Chairman Boris Nemtsov was murdered. He was the most notable figure in the party, having managed to unite the clashing opposition leaders for a common cause, people such as Alexei Navalny, Garry Kasparov and Mikhail Kasyanov. After Nemtsov’s death, his role was taken over by Kasyanov who was faced with pressure from the news media, particularly after the state channel NTV broadcast a film which discredited him. In it the politician’s intimate relationship with a party member were revealed and his negative statements on other opposition leaders were quoted. With Navalny pulling away, the new face of the party, replacing the now discredited in the eyes of the public Kasyanov, became the second man on the party electoral roll Vyacheslav Maltsev. He has already made his mark through controversial statements, such as arranging an impeachment for Putin if they succeed in the elections. 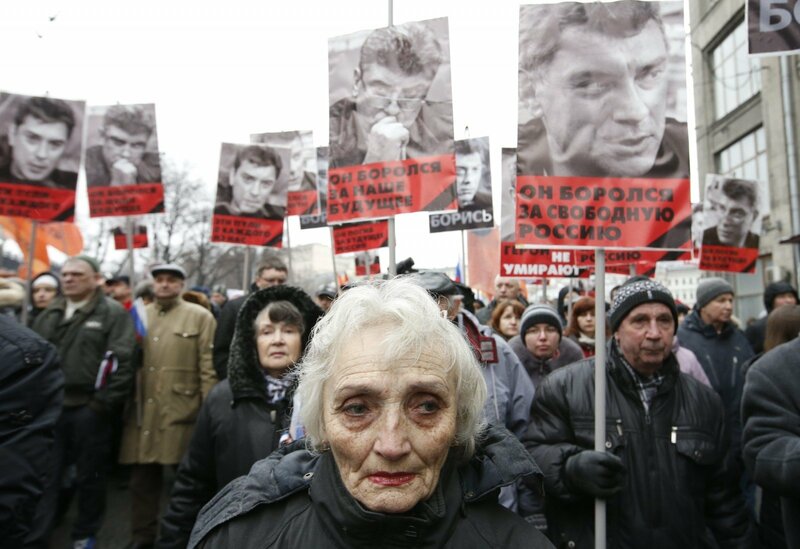 Thus we can state that Nemtsov’s death led to PARNAS splintering and at the same time, a loss of political potential. ROST has no chances of entering parliament either, it is a recent creation and is little known. Ideologically it is far closer to liberalism than “Yabloko” or PARNAS, but to common voters it is almost inaudible. The most notable figure in the party is Irina Hakamada, who spoke on the Echo Moskvy radio in 2014, stating that the Crimean occupation is an attempt by the Russian government to consolidate the nation. Finally the Pensioner’s party, which just like “Yabloko” had significant chances of entering parliament, essentially fell apart with the government deciding to refuse its whole single-mandate district electoral roll from participating in the election. The Pensioner’s party had very clear proposals, it concentrated itself on social issues, thus they attracted the most active part of the electorate – seniors. This was intimidating for establishment parties, thus it is clear that the current system could not afford to allow such a party to gain any real political weight. It can be said that the non-establishment opposition’s main problem in Russia is not ideological divides, but fragmentation and failure to share the role of leadership. The whole non-establishment opposition agrees that Russia needs essential reforms related with the non-democratic regime that governs the country and discussions on ideology become a secondary issue. Lacking a clear leader there is little opportunity to truly oppose the regime. For example ROST, a party with nearly no hope of winning even one place in parliament, can still expect to gather 1% of the vote. Naturally these are votes that could have gone to the ideologically similar “Yabloko”, which has a good chance of exceeding the 5% vote barrier. Thus the fragmentation of such ideologically similar parties decreases the entire potential of the non-establishment opposition and benefits the establishment parties that are loyal to the regime. Finally we need to discuss the assured victor of the upcoming election – United Russia – which already has earned the label of a “bureaucratic” political power. Similarly to the Soviet Union, where all civil servants and high officials had to be members of the Communist Party of the Soviet Union (CPSU), today all the employees of the Russian bureaucracy have to be members of United Russia. In other words, United Russia automatically has a massive electorate which other parties cannot even compete for. Everyone who earns their wage from the budget – employees in ministries, the police, the military, the FSB – in essence none of them have a political choice. This way United Russia, without even committing fraud, has at least 30% support. This number is increased by votes in single-mandate electoral districts and fraudulent votes, the extent of which varies by region. During the last parliamentary election, cases were observed where the real percentage of votes for United Russia was 27%, but after a “review” of the count it rose to 47%. It is obvious that no single party from either the establishment or non-establishment opposition has any chances of being on an equal standing to United Russia. It is practically not participating in the competition. However United Russia is faced with a different problem on the eve of elections – internal disputes. Inside the party there are disagreements between the federal and regional level which surface because in the 30 districts there are not just state Duma, but also local government elections. Party leadership, confident in its victory on a national level, seeks increased transparency to prevent protests. In the regional elections, however, United Russia is met with far greater competition, thus incentives for fraud are far greater at this level than the national one. It appears that the regional branches of the party will not be inclined to sacrifice their political influence in the name of the federal centre. One could think that this is specifically what challenges the Putin regime and its party the most, not the opposition. Due to the sanctions in place since 2014, the federal centre financing for regions has decreased which transitions in decreased peripheral loyalty to Moscow. With uneven economic circumstances in the centre and the peripheries, regional leaders – governors, mayors – can easily manipulate local public opinion, incite discontent with Moscow. Meanwhile this has potential to result in regional level protest against the centre, internal instability in United Russia. Where regional interests are clearly expressed, the rising conflict of the centre-periphery could even result in some branches separating themselves.